The real star of this year’s Palm Beach International Film Festival (2013) is a film entitled Comedy Warriors: Healing Through Humor. 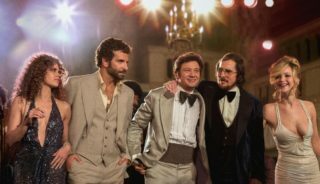 The title of the movie is derived from the labeling of United States soldiers that are recovering from devastation injuries while in action in either Afghanistan or Iraq. These soldiers are referred to as “Wounded Warriors”. This sobriquet of sorts has a double meaning because the brave men and women that have been injured are indeed wounded both physically and psychologically. This brings us to the raison d’être for the film Comedy Warriors. Five afflicted soldiers have brought not only their harrowing stories to life, but also their pain and anguish through comedy. Part of their mental healing process has involved learning to channel their pain into humor because of its therapeutic properties. Put laconically, sometimes life is too short to wallow when we can transfer our feelings of suffering into humor in order to fully share our stories. Comedy Warriors: Healing Through Humor is a one of a kind movie that will break out hearts and yet somehow we will continue laughing throughout the show. The comedians that have helped the five wounded veterans are the insane Zach Galifianakis, the shouting Lewis Black, the ultra Manhattan B.J. Novak, and the shockingly profane Bob Saget. These brilliant comics helped the wounded warriors become Comedy Warriors. They were ultimately filmed performing at a comedy club (the culmination of their coaching and mentoring) and the true grittiness of their effort and the raw emotions in the air are truly stunning. Most of us would never be as courageous as these soldiers on the battlefield let alone on a stage where they are in a fishbowl of sorts on the road to healing. 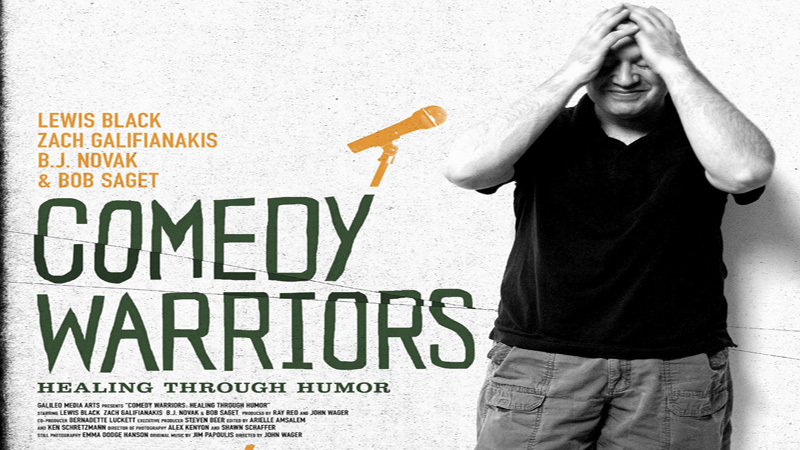 The film Warriors: Healing Through Humor is excellent and it is a bona fide tearjerker. What is even better is that the soldiers are touring the country and meeting with regular folks to share their stories and to show the world that there is truly life after the horror of what they went through. These men are so incredible that their heroism on and off the battlefield will indubitably leave an indelible impression on our nation of oft-bystanders on the sidelines. Kudos gentlemen, it was a pleasure to meet you in person and may your film and future endeavors all be blessed. Be well friends.